View cart “Crochet Denim Pouf Medium” has been added to your cart. 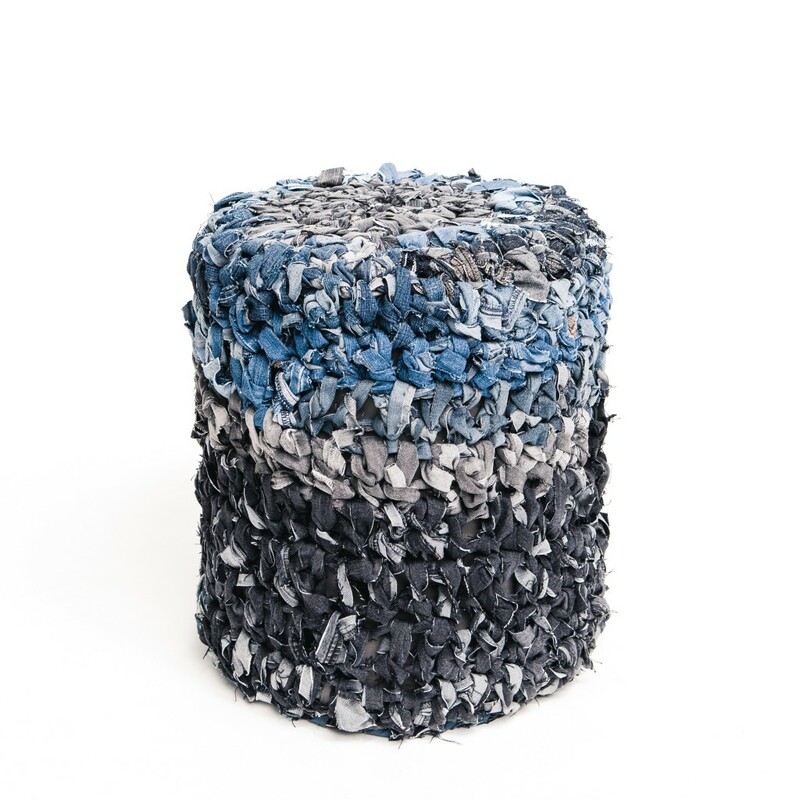 Handmade crochet pouf in recycled denim. The pouf is stable and do not fall when it is used. The unique crochet structure provides a beautiful contrast to the softer elements in the home. 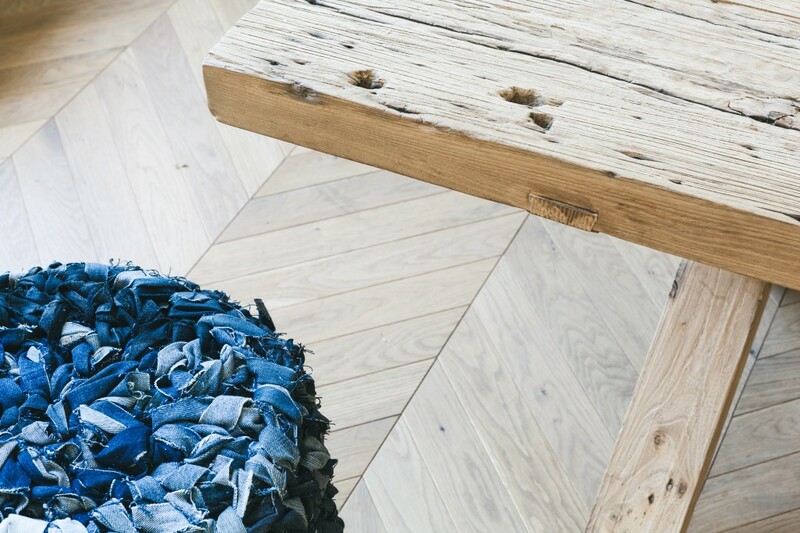 Due to the use of recycled denim, every pouf is unique and tells a different story. Our poufs are produced by hand in Denmark in a workspace where socially challenged women can use and develop their crafting skills and get closer to the job market. 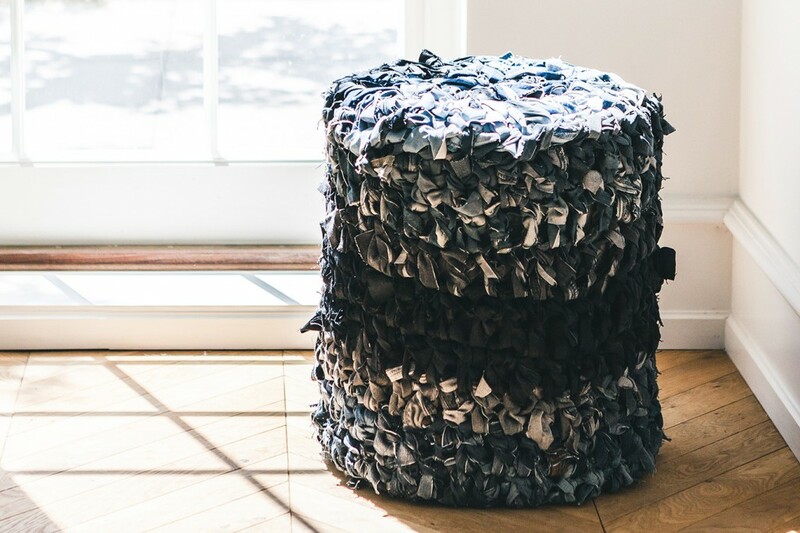 The pouf is hand made out of strips of recycled jeans crochet together for this beautiful structure. Since the product is made from used jeans, expect irregularities in the colour. The colours you see in this picture is not necessarily what you can expect, but we try to ensure that all products are beautiful. This is a product that slightly changes as you use it. It can be expected that the structure will change slightly with time. The handcrafting of our poufs is a long process that requires lots of working hours of work. Slowly and carefully the women at “I Tråd med Verden” produces the poufs. Their working speed is not industrial, and they finish one pouf at a time.They might be crocheting the last rows, or assembling the leather tops just now. We are doing our best to get your order made as soon as possible. Expected delivery time 6-8 weeks.